Schedule 80 Spears Gate Valves will provide smooth, lasting operation while giving your aquarium a professional look. 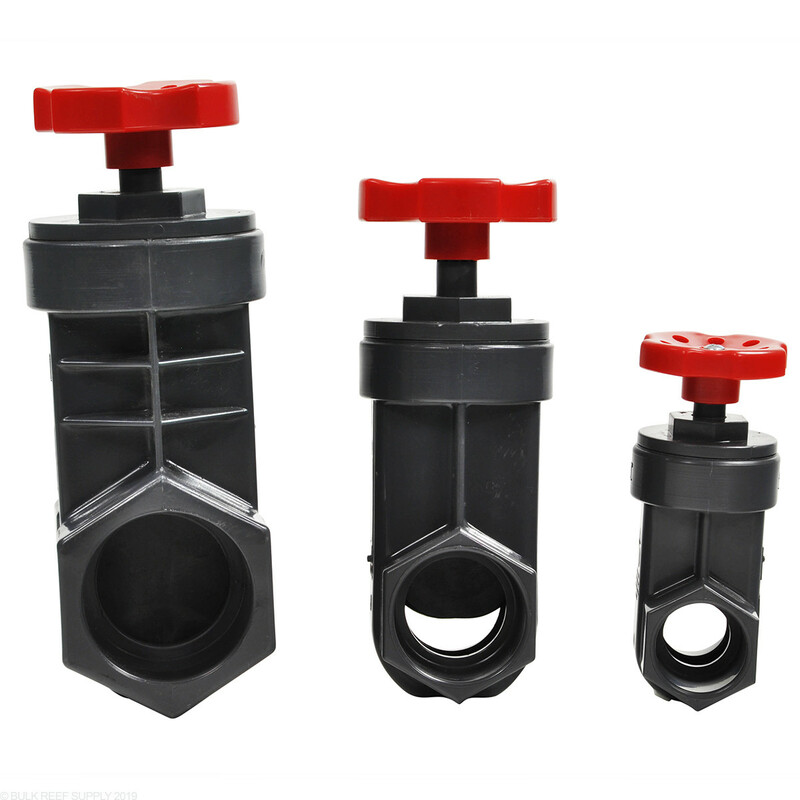 Gate valves are used for any application that requires precise control such as skimmers or silent overflows. My first gate valve with the herbie method is working great! Glad i bought this instead of a ball valve, its pricy but worth every penny, adjustment is smoothe and simple!! Compared to the gate values and ball valves you can buy at your local department store these are top quality. 2 years later the valves still turn like butter. Same as they did from day one. I have other department store ball valves that are really hard to turn at this point. Definitely worth the extra money for the better quality part. Receved the 1" slip x slip and installed it on my Herbie drain pipe, I havent tested it yet but im sure the operation of this valve will be very smooth while trying to adjust the full siphon drain! More reviews to come after it gets wet! I have this under a Synergy Reef Shadow Overflow and it works great. set and forget! I bought this to replace a ball valve, the crap you buy at Home Depot. Amazing product! I can't begin to describe how perfect this works. I would normally spend hours trying to get the water level perfect in my overflow with a traditional ball valve. Took me just minutes with this gate valve. 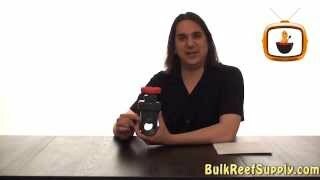 Extremely easy to turn and well made! at first i was in total sticker shock when i seen the price of these, needed 3 for my build and almost passed em up... SO GLAD i didnt. so much so, i convinced my buddy to get the same ones for his build. don't skimp on this piece or unions. I used the spears 1" gate valve to replace the ball valve I originally installed on the siphon to my sump. I've had it on my tank for nearly six weeks. While it's much easier to dial in than the ball valve, I find I have to adjust it every other day or so to keep the water in the overflow at the right level. For the price, I would expect it to hold its setting better. I opted for the Slip X Slip version of this valve and was not disappointed. Welds very well (made sure to weld while valve was open - didn't want gunk on the gate itself) and you can just tell that it's built to last. 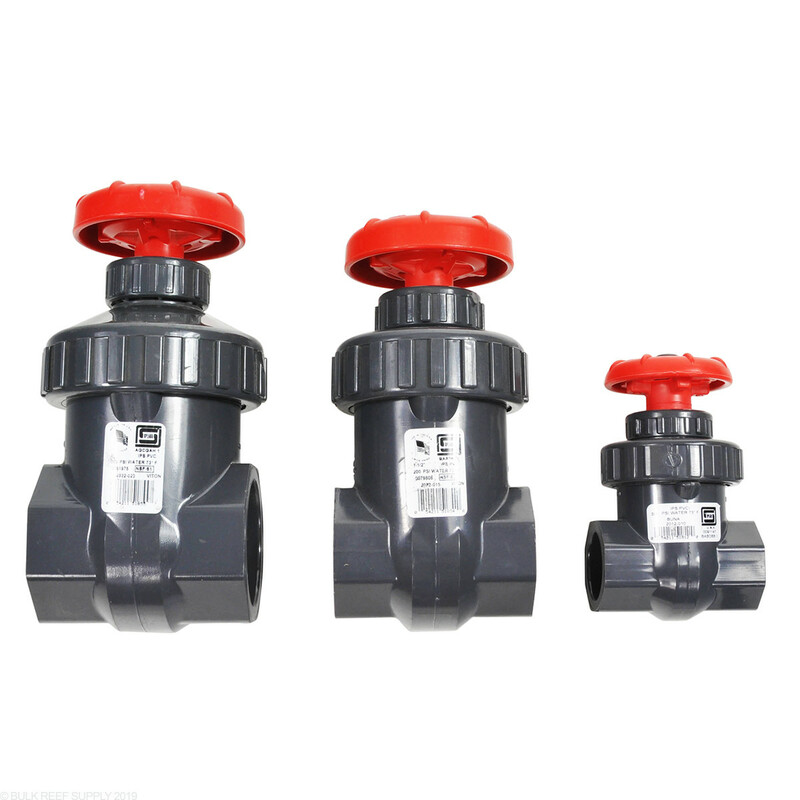 Turning action of the valve is very smooth and you can fine tune with these extremely well. My ONLY wish is that they made a True Union version of these rather than me having to put unions on both sides. Having gone to a few different hardware stores while deciding what to get for my plumbing, I went for this based one great reviews. The reviews were right, well worth spending the extra money to get a high quality product that will last longer and be easier to use long-term. Don't waste your time or money on ball valves! Can with fit with Sch 40? It sure can. 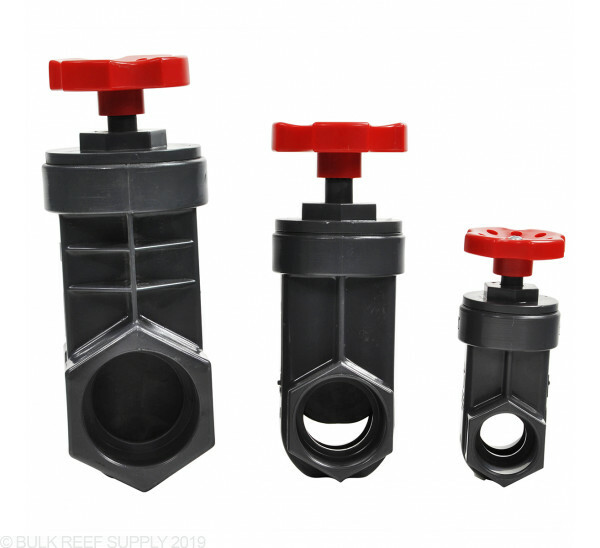 Schedule 40 and 80 have the same nominal size fittings and will fit together. Is this all plastic and can it be submerged in my sump? Great question! It is all plastic, and can be submerged. I'm plumbing my sump using a herbie overflow and want to use this gate valve to govern the overflow suction. 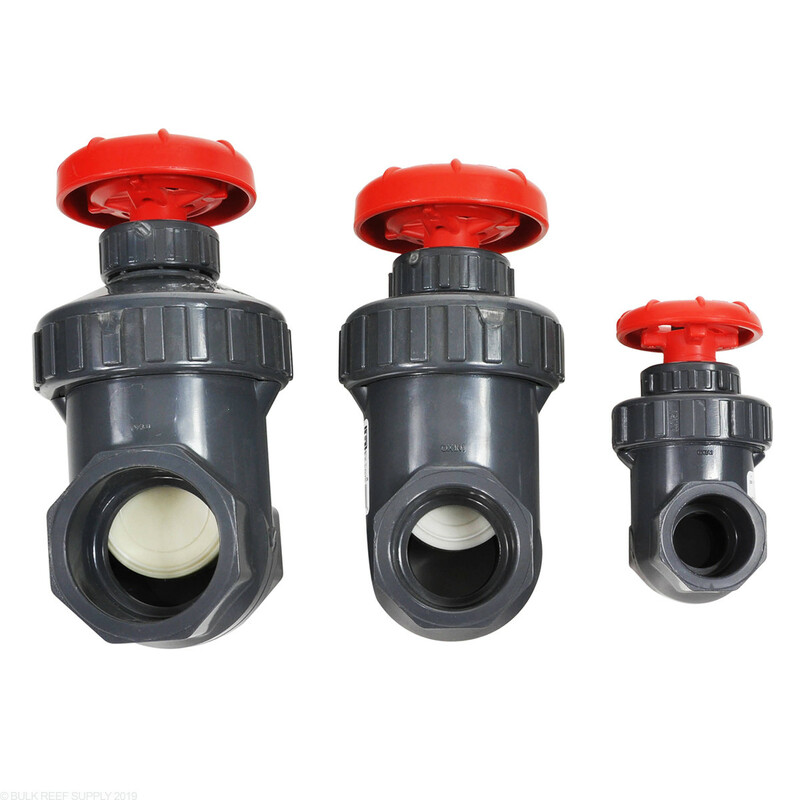 My question is in regards to plumbing in the valve using slip or threaded connection. I like the look and security of glued in slip but given the cost of the gate valve and the fact that it's likely I change around my setup at some point I didn't want to have a glued in valve. What are your thoughts on which to use? 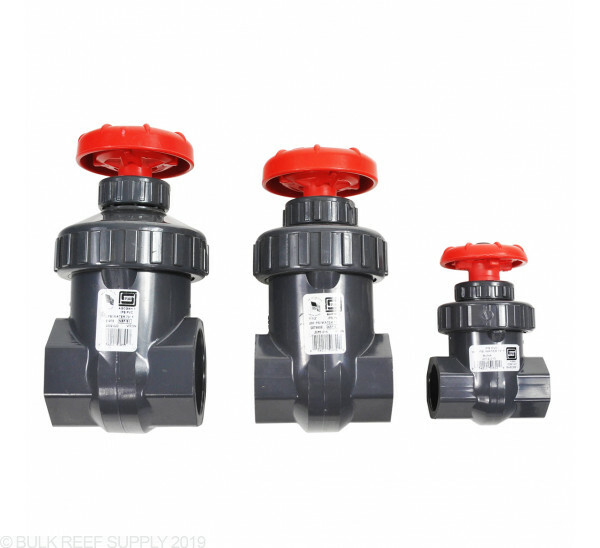 We typically will use slip and glue it in place and add 2 unions before and after the valve to make changes, movement and working with the valve easier. 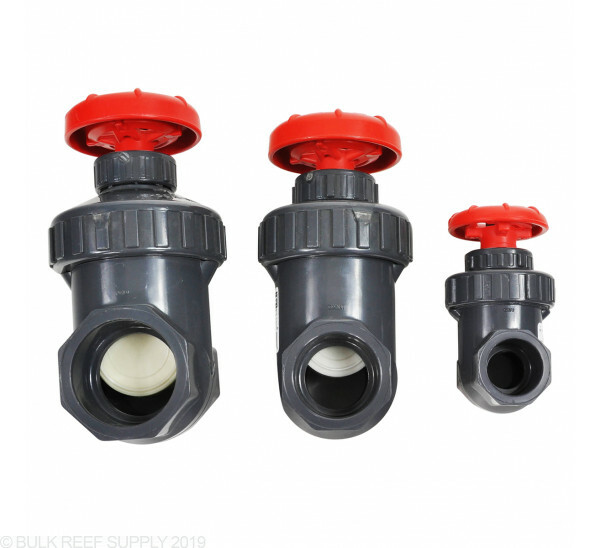 If you thread in the valve it still can't be removed easily as it will be threaded in opposite directions from either end and make removing it a bit of a process where as Unions will simplify the process. Feel free to let us know if you have any further questions! Is the sizing the inside diameter? just trying to double check and make sure i get the valve that fits my plumbing. Thank You! All plumbing and fittings on our website are sized based on the nominal pvc pipe rating (meaning the internal diameter of the pipe). This means that a 1.5" bulkhead or coupling or union will accept 1.5" ID/nominal pvc pipe.